This is my day 2 submission for the 180 days of User Interface design challenge, otherwise known as #180DaysofUI. After my work day, I spent my time working on fixing hot tub plumbing and ended up running a bit thin on time for this challenge. So – paying homage to the recently watched, super-delayed viewing of one of the most epic movies of all time, I present to you a countdown timer. Useful to know when a Shark-laden-tornado may touch down upon your town. Challenges Getting the right lighting for the sharks was terribly difficult. They certainly do have a good and a bad side for photography. 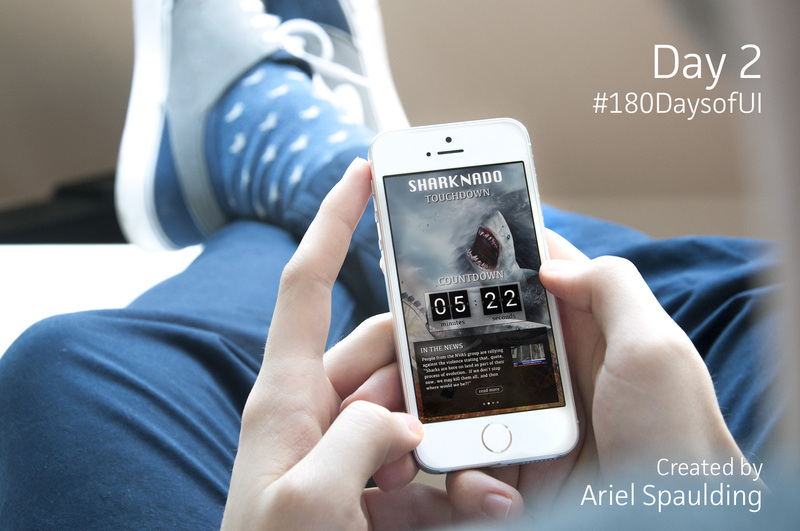 Follow this challenge on Instagram and BeHance – 180 days of UI and let us know what you think!